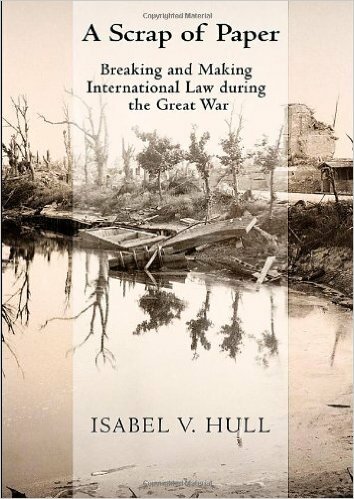 Review of Isabel V. Hull, A Scrap of Paper: Breaking and Making International Law during the Great War (Ithaca: Cornell University Press, 2014). Pp. 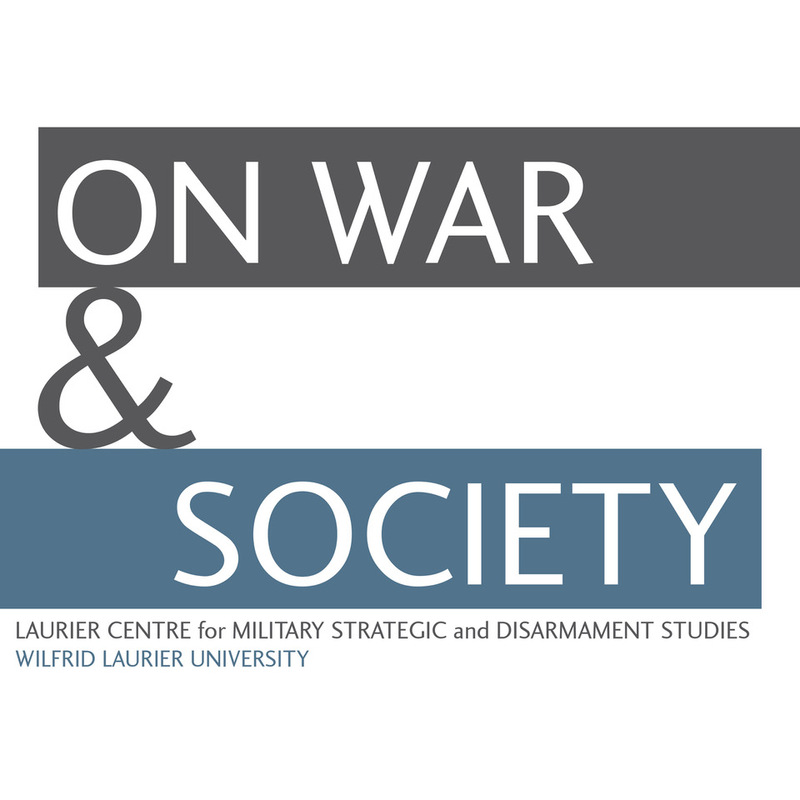 368.
International law does not often become front-page news, but in March 2015 the seemingly intricate subject gained national attention in Canada in the debate to authorize Canadian airstrikes in Syria. Though some experts pointed out that the decision seemed to violate international law, others argued that the atrocities committed by ISIS militants and the protection of Iraq’s sovereignty necessitated the action. The example illustrated just how murky the interpretation of international law can be, even when it is at the centre of major wartime decisions. Cornell historian Isabel V. Hull’s book A Scrap of Paper serves as a reminder that in most modern conflicts, no matter how messy or undefined, the realities of international law are never far from the frontlines. The First World War, she argues, was fundamentally shaped by variant understandings of international law, which affected the course and conduct of the war. Hull proves that international law was more than purely political rhetoric or a diplomatic nicety, but that it informed key decisions and reactions and was a central preoccupation of political and military leaders on all sides of the war. Going further, she effectively demonstrates that 1914 essentially represented a legal divide between Imperial Germany and the Allies – specifically France and Britain. On the one hand, the Allies were generally careful to operate within the new framework established in the Brussels and Hague conventions. The Germans, however, were guided by what Hull calls “war positivism.” According to this idea, the exigencies of war require, irrespective of existing legal conventions, practical and particular solutions. This divide was perhaps best captured in the famous quip that gives the book its title, when German Chancellor Theobald von Bethmann Holweg dismissed the Treaty of London of 1839, which guaranteed Belgian neutrality and which ultimately brought Britain into the war, as just a “scrap of paper.” Hull stresses that this was more than a throwaway line because it effectively reflected the crux of the legal divide: for Germany, military necessity, including self-defence, permitted the breach of such treaties, whereas for Britain, the commitments it made in international treaties necessitated military backing to protect. The First World War was therefore essentially a legal war, and what was at stake was the established legal state system of Europe. Throughout the book, Hull covers very familiar territory, ranging from the use of poison gas at Ypres, to the Atlantic blockade, to the sinking of the Lusitania, yet she does so in a way that is refreshingly innovative. In each chapter, she demonstrates how a particular aspect of the war was subject to differentiated legal understandings on both sides. For example, the atrocities committed by the Germans in 1914 in neutral Belgium – including the mass execution of civilians and the burning of entire towns – was widely viewed by the Allies as a reflection of German lawlessness and indifference towards the customs of war. Yet as Hull illustrates, the Germans viewed their actions as part of a long-standing understanding of law that placed military necessity above other considerations. From the German perspective, the Belgian atrocities represented reprisal for Belgian civilians’ resistance to German troops, not legal recklessness. The writings of German legal thinkers, military leaders, and state officials make clear that they believed the prevailing customs of international law could not and should not circumscribe the limits of military action. A Scrap of Paper offers quite a critical evaluation of Germany’s war effort and a rebuke of realist scholars who are inclined to view the blame for the war as evenly placed. For Hull, it is clear that Germany’s representation of international law enflamed conflict and that its ability to jettison key aspects of established legal conventions contributed to its ultimate loss. 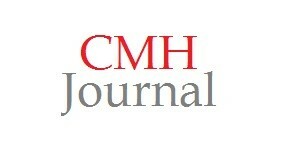 The task of reconstructing historical understandings of international law during wartime is certainly an ambitious feat. Hull draws upon an impressive range of political and diplomatic archival documents from Germany, France, and Britain. It is clear from these sources alone that wartime leaders were very much cognisant of the subject of international law, regardless of how they interpreted it. This book, however, is very much a history of the war that is focussed on Europe; there is no mention of the wider experience of war around the world, though there are obvious connections that come to mind, which warrant further consideration. One thinks for example of the division of the Ottoman Empire, which was still then a sovereign state, however unstable its internal political control had become, as a violation of existing customs and conventions of international law. How then did actions like the Skyes-Picot agreement between France and Britain correspond to those states’ apparent regard for international law? The colonialist and Eurocentric assumptions that underlie much of the legal ideas of the people that Hull writes about certainly require a more substantive analysis. There is also much left to be written about the place of international law throughout the British Empire, and for Canadian historians in particular, the extent to which it influenced legal, political, and military thought in Canada and the other dominions. This book should not get lost in the rather large volume of new studies published as we mark the centennial of the First World War. It marks a distinct contribution not only to the vast historiography of the war, but also to the developing body of literature on the intersection of law and international conflict. Historians of the First World War need to take law seriously – not just as a backdrop behind wartime events, but as a critical influence in the waging of war. Of course, it is not just a topic of historical interest, and it is difficult not to make connections between history and contemporary experience. The implications are clear. As Hull states in her conclusion, “momentary power superiority and great security anxiety might tempt a state to engage in unilateral legal destruction” (p. 323). States need to heed international law and military decisions need to be made in close conjunction with legal considerations. The temptation to view the necessities of war as a legitimate defense against wilful violations of international law ignores the long shadow of the First World War.